Because he loved aesthetics and fashion, Keem was studying hair fashion during the day and intensively taking dance classes in the evening for 2 years in Studio 31 ballet school in Gap, France. In 2000, after auditioning, Keem entered the National Academy of Dance in Avignon, France, and he joined the “Ballet de la cité des Papes” (junior company of the academy). He danced in contemporary plays and classical ballets like Don Quichotte, La Bayadère (The Temple Dancer), Temptation of the Moon, but also creations from other choreographers. Moreover, Keem started to create his own choreographies and performed them with the junior ballet. For 3 years, he was taught by the teaching staff of the dance academy: Nicole Calise-Petracchi (director of the academy and of the “Ballet de la cité des Papes”), Jean-Marie Limon (soloist and ballet master at Maurice Béjart’s), Tancredo Tavares (Martha Graham Company), Carlos Medina Perez (soloist in the Cuban National Ballet), Laurence Ricte (Roland Petit Ballet) and Thierry Boyer (Mudra). During this period, Keem was also taking workshops with the Frankfurt Ballet (William Forshyte), the Batsheva Dance Company (Ohad Naharin) and the Lalala Human Steps dance group (Edouard Lock). At the end of his degree course, he was awarded the EAT diploma (technical aptitude test) with distinction. In 2003, Keem settled in Paris and, between two dance contracts, he modelled. During the same year, he was hired on The Tales of Hoffman from Jérôme Savary that was performed at Paris Bercy. Then, in 2004, Keem was in the musical Gladiator by Elie Chouraqui, choreographed by Séphane Loras (Prejlocal Company) and performed at the Palais des Sports. In the course of the same year and until 2006, he was living between Paris and Budapest after he was accepted in the French-Hungarian company Pal Frenak for the creation of the play Frisson and a role takeover in Chaos, which led him in a tour across Europe. This artistically rich period inspired Keem. He started developing his own sense of aesthetics and exploring different means of expression to enrich his creative and choreographic vocabulary. As he practiced also yoga, he was offered to participate in the Yoga Asana Championship, which he won and thus became French champion. The first prize was to go to Los Angeles to represent France at the International Championship. During his Californian trip, Keem discovered pole dancing. He fell in love with this discipline that he saw like the expansion of his dance background. Back to Paris, he met Laurence Hilsum and they started to train together. Both autodidacts, they are among the pioneers of pole dancing in France. In 2007, Keem went to study in England at Vertical Dance by KT Coates and gave pole dancinIn 2008, Carine Roitfeld from Vogue France magazine contacted him so he could be a pole dance consultant for the advertising campaign of Cesare Paciotti as well as for the photo shoot of the French Vogue editorial of February 2008. In 2009, he participated in the first edition of the French Pole Dance Championship and became the first winner of the event. A few weeks later, he earned the title of “MisFrom 2010 to 2012, Keem went back to live in London to be a Head instructor at The Pole Studio with Tracey Simmonds and Sarah Brown, and he taught in Elena Gibson’s studio too. From this period on, Keem has been coaching, choreographing and artistically leading athletes and artists, more and more. In 2011, he won the Silver medal at the World Pole Fitness Championship in Budapest. Keem performed regularly on London stages in Box Soho and Proud Camden clubs, and, at the end of his British contract, he moved back to Paris for the purpose of teaching at Pole & Dance by Laurence Hilsum, where he still gives classes. 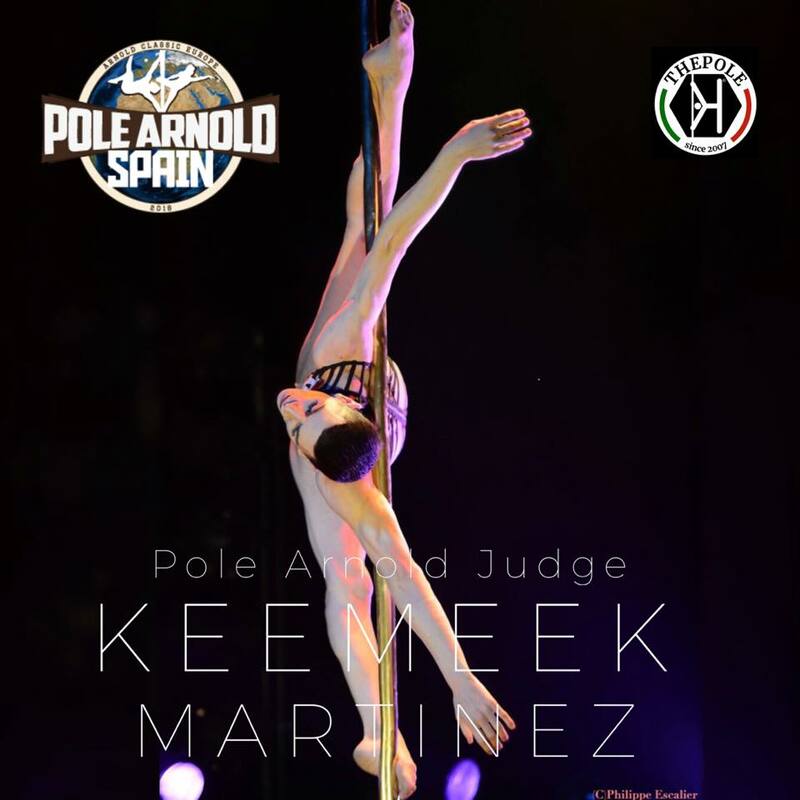 In the summer 2012, Keem came out 2nd in the World Pole Sport first edition in London. He participated in the Foresti Party show of Florence Foresti as a pole performer. This same year, he won the 2nd place of the French Pole Dance Championship. At the end of 2012, Keem got the Golden medal during the World Pole Fitness Championship in Zurich and thus became World Champion. In 2014, Keem won the Golden medal during the French Pole Dance Championship. He retired as a competitor after this success in order to focus on the artistic creation. He started to study fashion design. The same year, he was hired by the SOIF Company as an artistic director and choreographer to create a play entitled Radionista. In 2015, Keem choreographed pole dancing show of the Mugler Follies by Thierry Mugler, which was performed by Claire Francisci. In 2016, he led, choreographed and designed the costumes of the play In My Veins from Sendres Cedres. Simultaneously, he obtained his Pole Dance Judge Diploma with the POSA federation and, from then on, he has been judging national and international competitions. In 2017, Keem created, in association with Malika Joseph-Auguste, the Carnival Pole Camp, an explosive mix of pole dancing and carnival in the Caribbean. Keem still continues to develop various artistic projects.